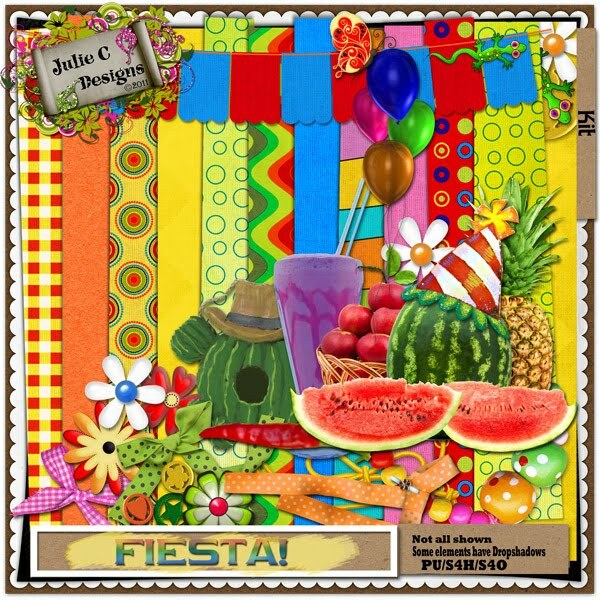 Welcome to our Blog Hop - "Fiesta"!!! A group of uber-talented designers from theStudios have put together these amazingly colorful and fun minis for you to enjoy over the iNSD weeekend! Inspired by Cinco de Mayo and with a distinctly Mexican and party feel, this Collection will be fabulous for so many different projects! and your next stop is Snips N Snails http://www.snipsandsnailsscraps.blogspot.com/. Here is my contribution - Ole'!!!! Don't forget to pop on over to theStudio and check out what's happening over the next few days! We've got AMAZING sales for you to enjoy, and the forum will no doubt be hopping with excitement & activity! Thank you so much for this post. I want to let you know that I posted a link to your blog in CBH Digital Scrapbooking Freebies, under the Page 8 post on May. 06, 2011. Thanks again. O.M.Gosh~~This is fantastic! Thank you!!! Muchas gracias for your generosity in being part of the Fiesta blog train!